Tired of looking for the right cable to charge a specific device? 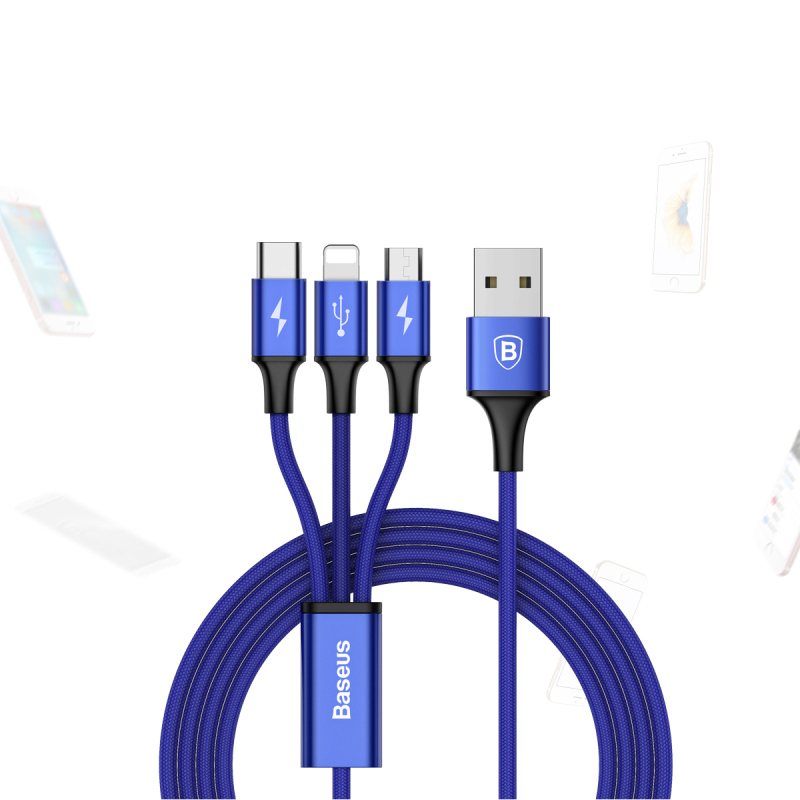 Got a huge mess of cables in your car or desk just to charge your devices? Introducing the Baseus 3-in-1 Rapid-series! The ONE Cable to Rule Them ALL! 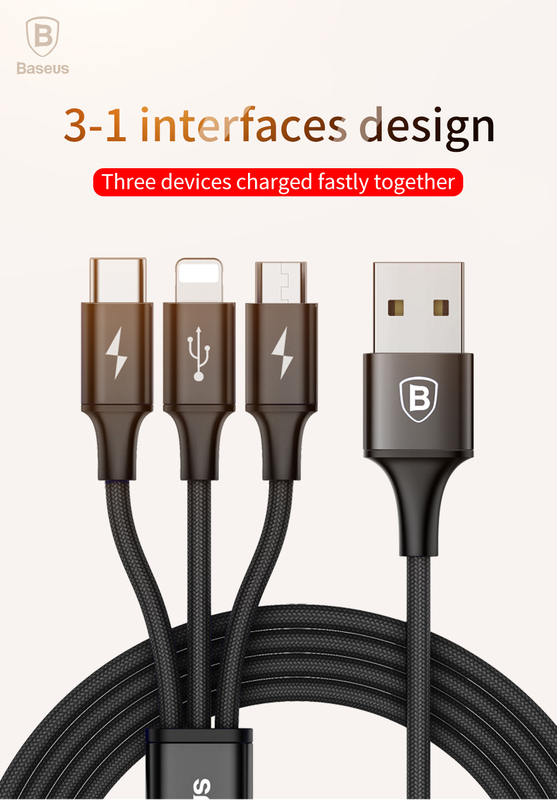 ✓ Type-C, Micro-USB & Lightning (iPhone) Connectors. ✓ Choose the connectors you want! ✓ Charge 3 different devices at the same time. 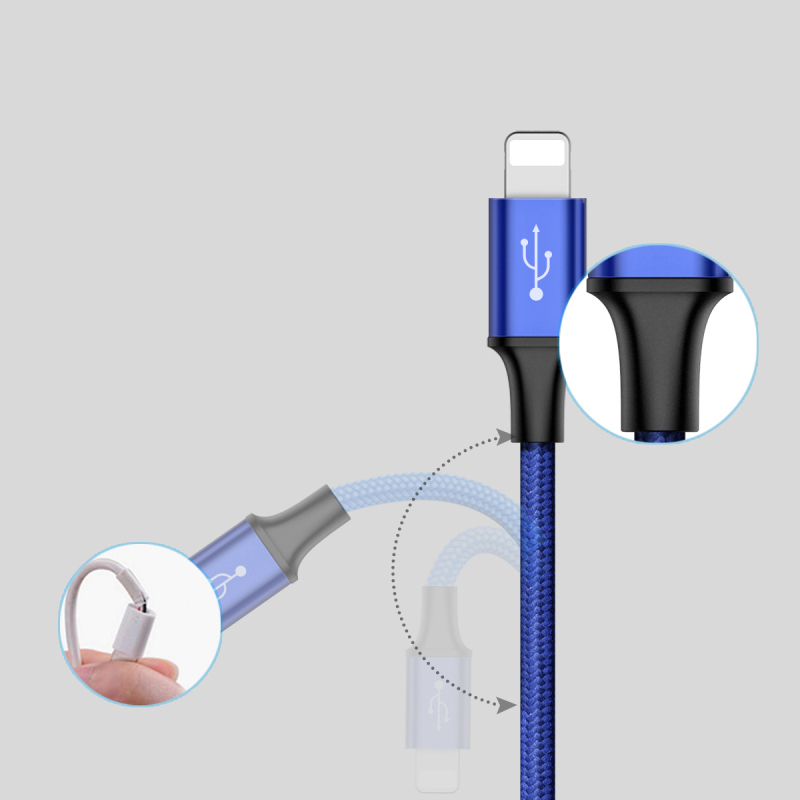 ✓ 3A Rapid Charging (charges 30% faster than any other cable). ✓ Tripe Layered, Fine woven & shielded anti-twining design. ✓ Perfect Length : All variants are 1.2 meters long! 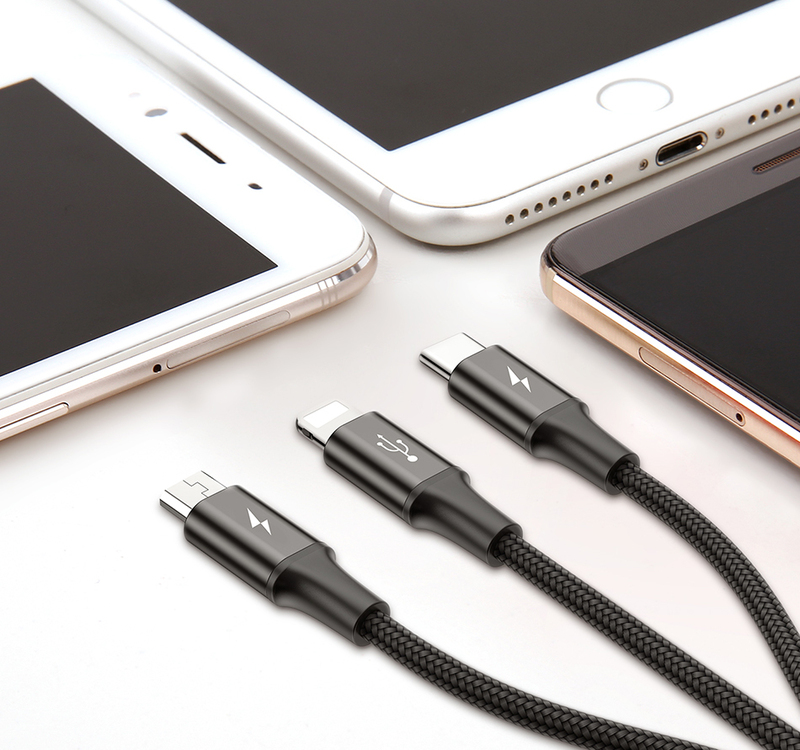 - Micro USB / Type-C / Lightning(iPhone/iPad) - compatible with virtually any device! High-quality aluminum alloy shell & Tinned copper wire core, prolonging the life-span of the cable. 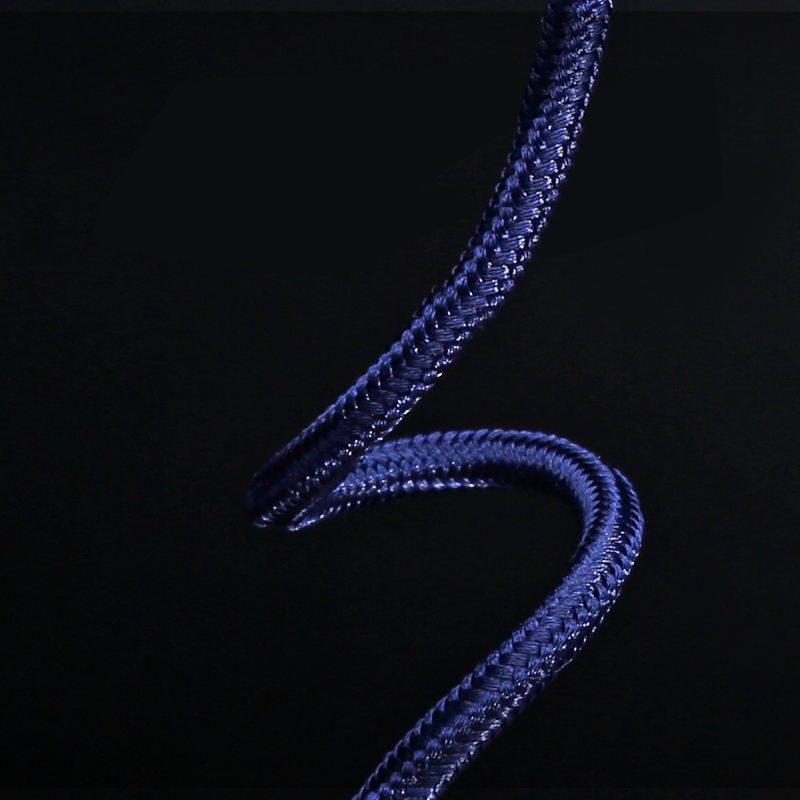 Fine woven wire, Anti-twining design - no more hassle of tangling cords.